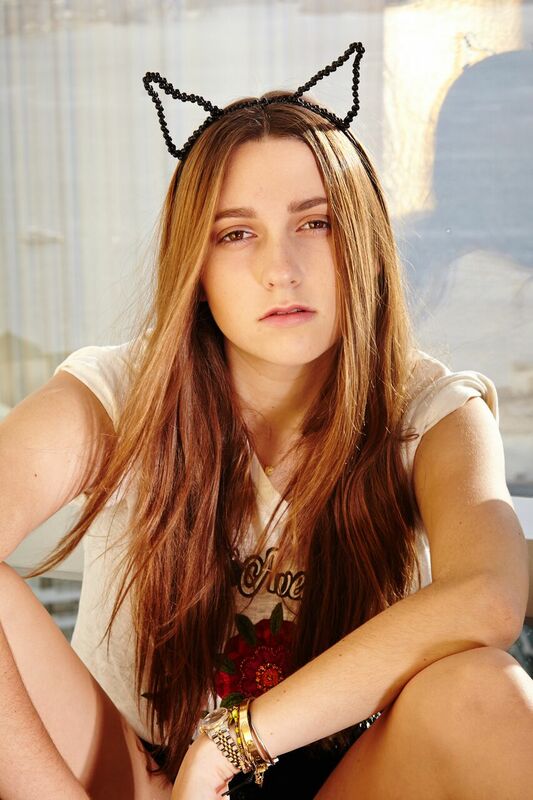 Ashley Brinton is a musical artist who is one-to-watch for 2017. She is the epitome of the modern-day pop star with an edge to both her street style and her music. 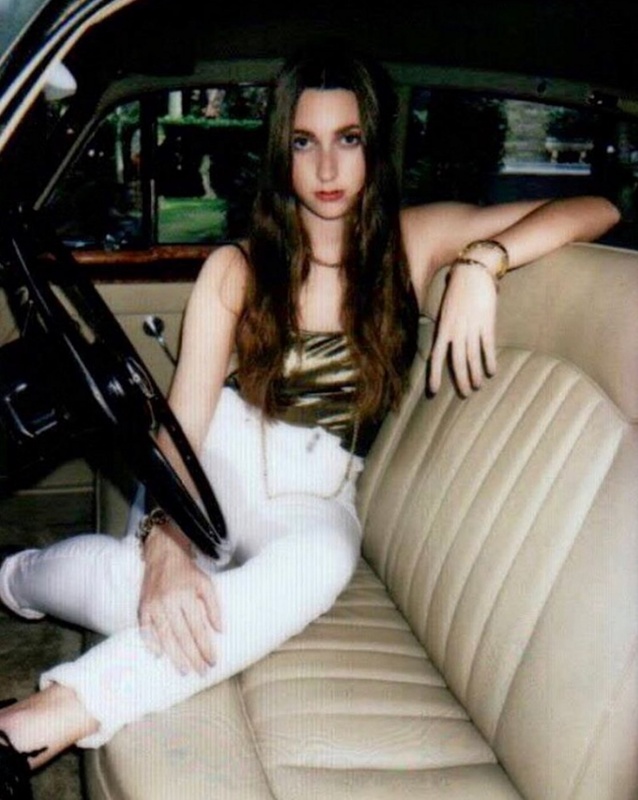 With Girls Life magazine declaring “she’s ready to join the ranks of pop princesses who’ve gone before her,” Brinton is coming on strong for 2017 with a brand new single and EP. Developed by music producer Cory Rooney (JLo, Mariah Carey), Ashley’s debut EP (fall 2017) is meant to be an ode to teenage friendship and love. Her premiere single “Don’t Wanna Lose Your Love” (March 2017) focuses on loyalty found in relationships. “Trouble” is about being in a relationship with someone you know is bad for you. “Friends” is a reminder that Ashley will always be there for her friends no matter what part of the world she’s in and that she’s always one call away. “Wait For Love” is a song meant to let your significant other know that it’s okay to wait and take your time in a relationship and that love doesn’t happen overnight. “Let Me In” is a party song all about confidence and “Limits” reminds you that you can do whatever you want and you should never back down or quit and keep moving forward. Ashley has been singing and performing since she was seven years old. “My sound is pop with a twist. I make music that makes people happy. It is upbeat, fun, and relatable” says Brinton, who has worked closely with Cory Rooney on honing in on a sound and style that is inspiring and reflects who she is. She hopes that when fans listen to her music, they appreciate her uplifting lyrics and can relate to her music. Ashley looks up to Selena Gomez, Taylor Swift and Alessia Cara in the music industry, and her sister has been a big influence personally. When not concentrating on music, Ashley enjoys knitting, watching Netflix, baking and cooking. She loves animals and spends her summers volunteering at an animal shelter. The highlights for 2017 are that my fans are loving my music and my fans keep growing day by day. I love to make music to make people happy! For 2017 I am so excited to launch my next single and music video. “Don’t wanna lose your love.” My EP will launch in 2017. It’s so amazing!! I can’t wait for everyone to hear all my songs on it. Growing up I always knew I wanted to be a performer and music was always a big passion of mine. I remember singing at piano recitals when I was small, I can’t even believe I was that young. I also remember grabbing the microphone at my parents parties and just singing Lady Gaga or Taylor Swift etc and just getting everyone up dancing. I knew at that point that’s what I wanted to do. I can’t picture myself doing anything else. This Fall, you plan on releasing your debut EP. What does feel like?! How long have you been working on this collection of songs? What was the inspiration for these songs? I am releasing my EP and I have been working on it for two years. I have experimented with a lot of styles until I really found what is me. I want people to relate to my music. Each song has its own story and inspiration. I can’t wait for people to learn about each and every song. Let’s talk in particular about your first single- “Don’t Wanna Lose Your Love.” How exactly did this song come together for you? Every song I do relates to personal experience or deals with the stresses of being a teenager. This single is about a boy that wants to cheat with a best friend. Everything he likes about the best friend is really me. However, she is flirty and persuasive and he is a teenage boy. The music video will showcase it all. What has been like working with your music producer Cory Rooney knowing that he has worked with such incredible artists like Jennifer Lopez and Mariah Carey? Cory Rooney is he best!!! He has become my family. He is my mentor and I try to learn from him everyday. He has worked with the best and mentored the best. I am honored and humbled he is working with me. I love every second of it!! How do you hope to be a good role model to young girl fans that you have out there? I think it’s so important to be a good role model for young girls. There is so much pressure to be beautiful and skinny. I just want to show people you are beautiful the way you are. I also think there is too much pressure to do bad things and grow up way to fast. I have a song coming out on my EP called wait for love. It has a beautiful message that you don’t have to rush things. I want my music to have a positive message and make people feel good and inspire. Who are some of your favorite musicians? What musicians would you love to work with in the future? What has it been like keeping up with your social media and those fans on there? Do you ever find it stressful to always post or do you have a good balance now with it all? My favorite musicians are Lana del Rey and Taylor Swift. Lana del Rey went to the same high school as me. I also love Ed Sheeran, The Chainsmokers and Chris Martin. Of course I would love to work with The Weekend because I have a secret crush. Whoops did I just say that ! Do you have plans to perform much this year to support your new music? Can you remember a favorite performance of yours? I would love to perform and I can’t wait til I have a tour. Stand by, it’s coming. Where do you think you are happiest- in the studio recording new music, on stage performing or elsewhere? I am so happy recording in the studio. My parents freak out because I would literally sleep there if I could. Cory has to make me go home at 2 or 3am because I never want to leave. I get so bummed out when I go back to school and am not in the studio. I also love performing. I can’t wait to tour and share my music. I want to give a positive message to teens and help them get thru these tough years. I want people to be happy and carefree when they listen to my music. Inspire them. Make them smile. I want to thank my fans. Without them I am nothing. I hope I make them smile!! An Interview With the Belgian Singer-Songwriter, JAMIL KASSAM!